Congratulations to "Martha", "Bn100" and "Robin", the winners in Jennifer's giveaway. Thank you to all who participated. I am so happy to be here today to talk about my latest release, AT WOLF RANCH. It’s been a whirlwind two years as an ebook author to the release of my first paperback series – The Montana Men. I can’t tell you what a thrill it is to see my books in stores. This is my third series. The Hunted, McBride, and Montana Men series are all family sagas. I love the family dynamic that carries over all the books and gives readers a glimpse at characters from previous books as they progress through their lives. With two brothers of my own, I love the dynamic of how families talk and interact with each other. How their past impacts everything they say and do in the future. How someone who knows you that well won’t let you get away with anything and calls you out when you try to hide something. You can say something to family you may not say to even a best friend. One of the things I find intriguing about family, and have experienced in my own life, is that the people closest to you can also hurt you the most. They know just how to get to you, which buttons to push, and which words and deeds will cut the deepest. The flip side is true too. Their support, pride, and happiness can raise you up, make you try harder, and make all your accomplishments seem that much sweeter. All those things make for a fun read, and even more fun to write. Do you love a series splashed with all the family drama? Or do you want your romance with the focus on the main characters? Give me more, or one and done? I’ll give away 3 signed ARCs of AT WOLF RANCH (US only) to commenters. 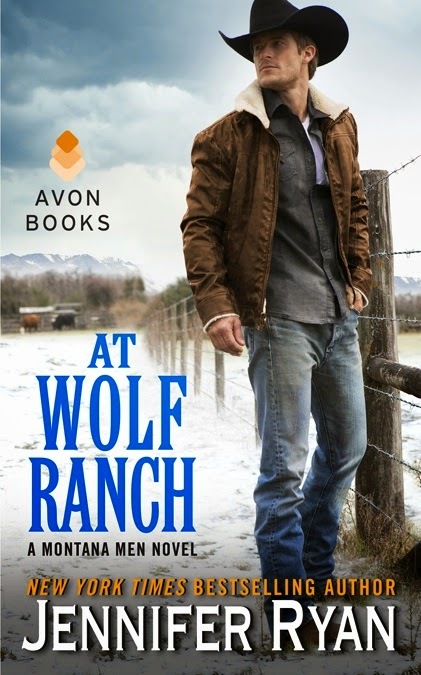 AT WOLF RANCH – Available now! As an unlikely partnership sparks into something so much more, and a killer closes in, can Ella and Gabe learn to trust one another before it's too late? Giveaway ends 11:59pm EST March 20th. Please supply your email in the post. You may use spaces or full text for security. (ex. jsmith at gmail dot com) If you do not wish to supply your email, or have trouble posting, please email maureen@justromanticsuspense.com with a subject title of JRS GIVEAWAY to be entered in the current giveaway. I say give me more! Love stories that include family aspects either as secondary storylines or woven into the main one. It actually adds layers to the characters. Give me more! I love when secondary characters blossom into main characters in their own books! While I've read & enjoyed tons of individual books, there's something comforting about reading a new book & bumping into old friends! Thanks for sharing! For me, I like both one and done & family drama... but series books with families are great... you get to see different members show you their stories... catch up on those you have met before... :) Thanks for sharing! Love family series without cliffhangers. I love series that spotlight and then include families through out ;) I'm a glutton for HEAs and being able to see that in future books hits my happy button. Congrats on the new release and thanks for sharing!